Can Cybercurrency Change the World? Digital currency keeps on making news – and making financial experts worry. In what appears to be the perfect marketing move, the Bitcoin – an electronic currency – was recently used to buy the Tesla, an electric car. And while many hail the move as another step toward the Bitcoin’s eventual dominance of world money markets, others fear that the coin’s vulnerabilities could destroy those very markets. We’ve written numerous pieces on the Bitcoin’s evolution from a tech lover’s toy into a global force fueling optimism about a truly democratic currency as well as fears of one world monetary dominance. But the story of the little algorithm that could has captivated the attention not just of financial experts but of consumers worldwide, as reports continue to surface about people who travel the world on the Bitcoin, buy cars, finance fertility treatments and purchase homes. 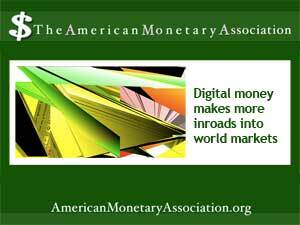 Digital money may be more of a novelty in countries with strong currencies, such as the US and UK. But it takes on a far different meaning in less stable countries whose traditional currencies are vulnerable to political upheaval and natural disaster. For those places, a digital currency that exists independent of those issues opens as many doors as the Internet itself did a few years ago, creating new opportunities far beyond local borders. But with those opportunities come new risks. Alongside news about the Tesla and other successful Bitcoin transactions come reports of theft, hacking and cybercrime. as the very features that allow the Bitcoin to threaten traditional monetary systems worldwide make it vulnerable to attack and misuse. Digital currencies don’t typically exist in physical form; all transactions are done anonymously and quickly via computer. That’s how coins are made, too, by computers working the complex algorithms that, when solved, produce a new piece. That means that in theory anyone with enough computing power could generate digital coins, create a whole new system – or destroy existing ones. The original Bitcoin algorithm has been hacked numerous times, creating harmless images of Federal Reserve Chairman Ben Bernanke and small furry animals, among other things, but so far it has remained functional. But as usage becomes more widespread, that could change. The potential for financial chaos in the event that the Bitcoin or another kind of digital currency comes to dominate the global money market and then crashes is the major worry dogging market watchers and investors worldwide. Since cybercurrency isn’t backed by a traditional issuer or by physical reserves such as gold, there’s nothing to fall back on if it’s compromised on a large scale.